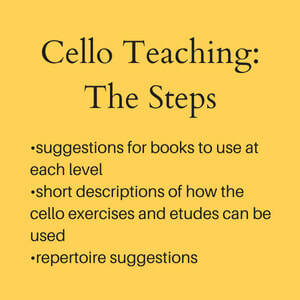 Welcome to a site about cello teaching! 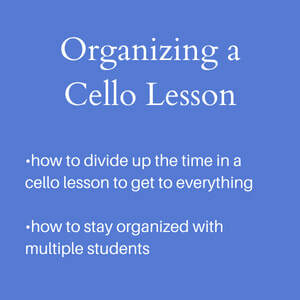 This is a site that aims to help cello teachers with ways to organize the cello lesson, repertoire guides, teaching ideas, and more. Feel free to ask any questions about teaching (or studying, for that matter!). I have been teaching cello for more than 25 (gulp) years and I have developed a traditional teaching method that is designed to bring students to competence on the cello, regardless of talent or ability, and to take especially talented students to the highest level. I own and have taught with all the books and pieces that are listed or linked to from this site. The books on this website have been tested thoroughly with students to make sure that they work! 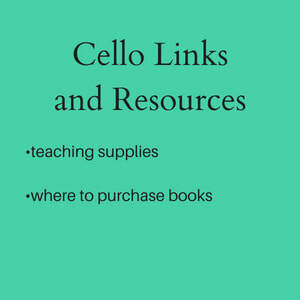 ​Check out our Cello Teaching Blog for product reviews, new releases, and teaching ideas.